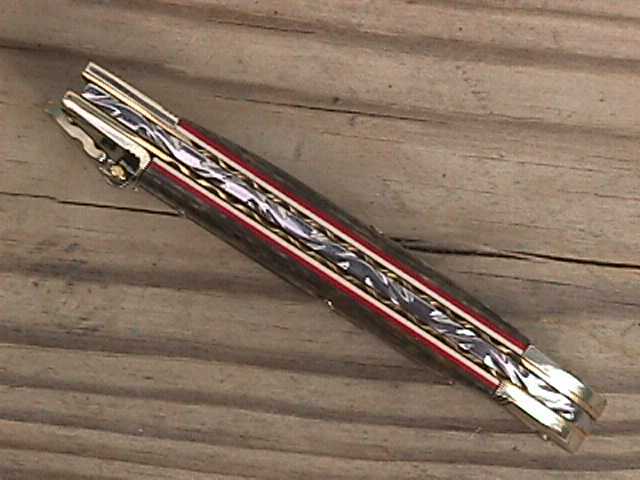 Welcome to my Switchblade page 2, here you will find Hubertus from Germany, Mikov from Republic of Cz and even some American LCC. . I will be updating these pages shortly but this is a small sampling of some customs I have worked on in the past. This is a Mikov. 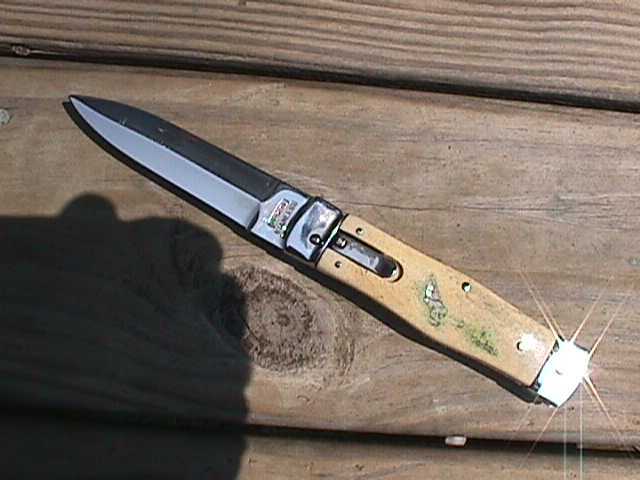 A very sturdy, utitilitarian working mans knife from the Republic of Czechoslovakia. 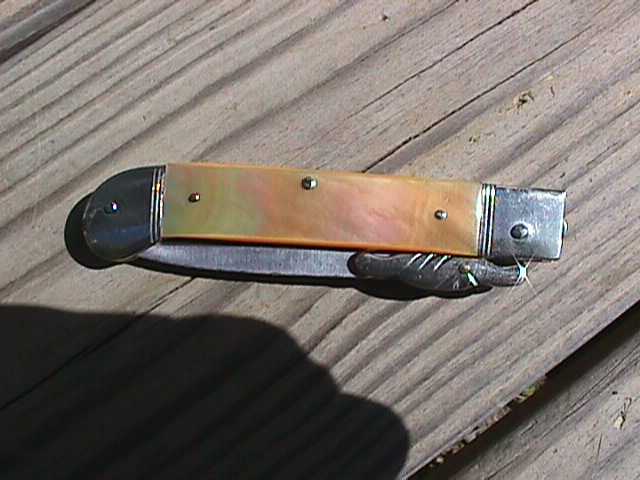 Leaf spring fired, lever locks the blade both in and out. 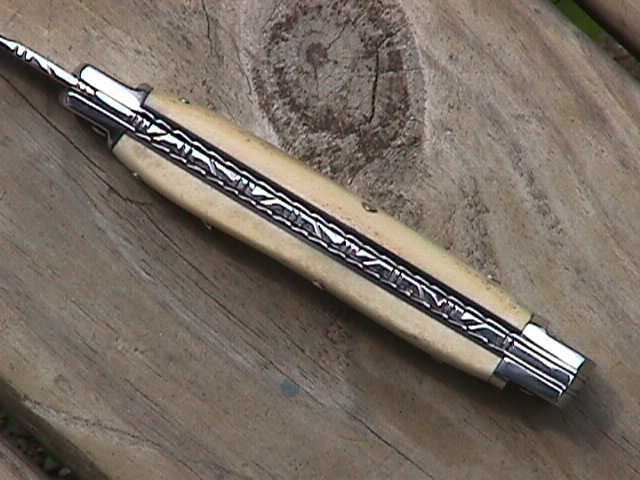 This one is scaled in Moose antler with a greenish tinge. 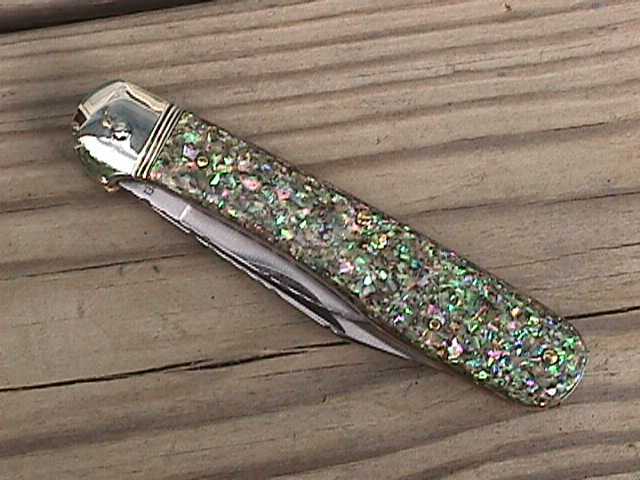 Here is a Mikov scaled in white Mother of Pearl. 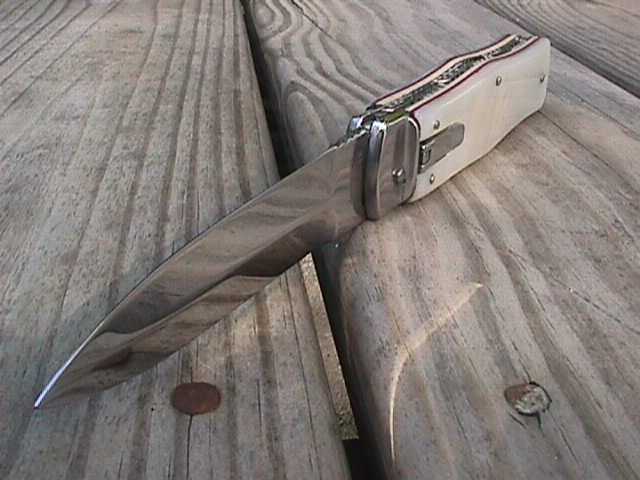 It has red spacers, a layer of white micarta 1/16", high polish and filed. 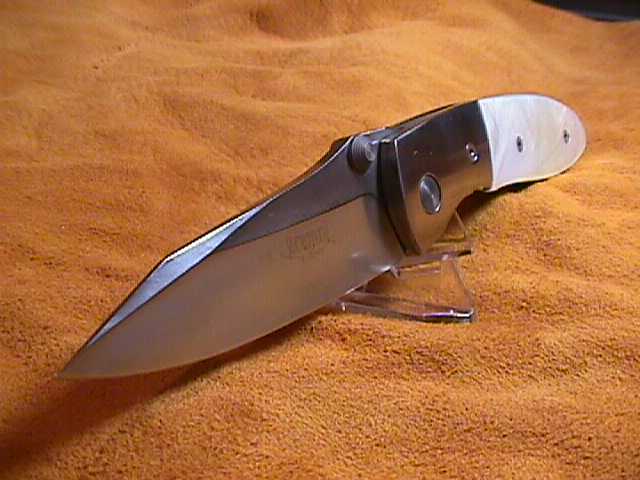 LCC double action in white Mother of pearl. 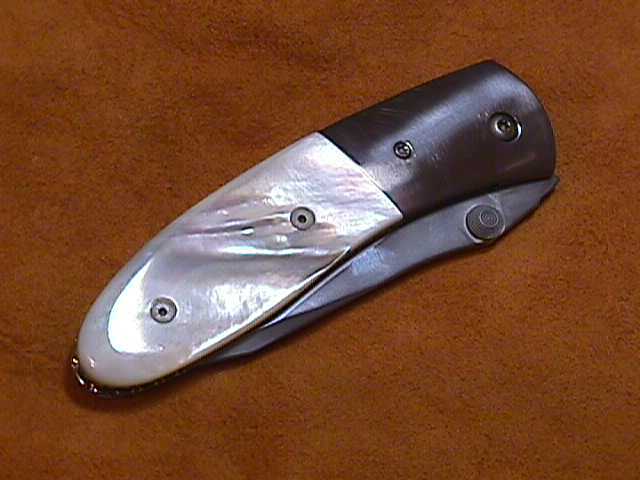 I have done these in paua, stag, ebony also. 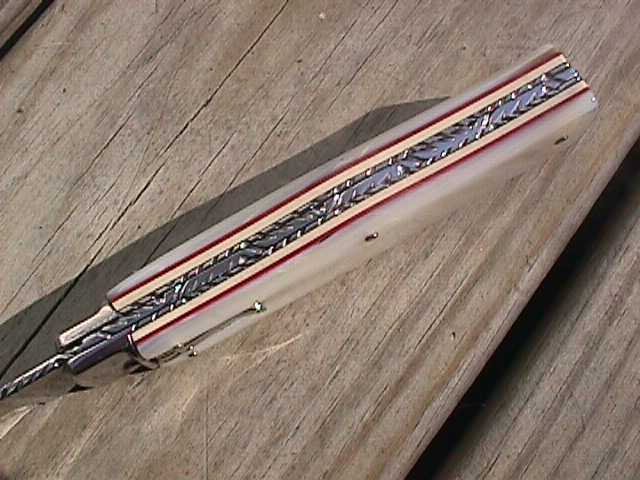 These have 42 parts in them, if you take yours apart, pay attention. 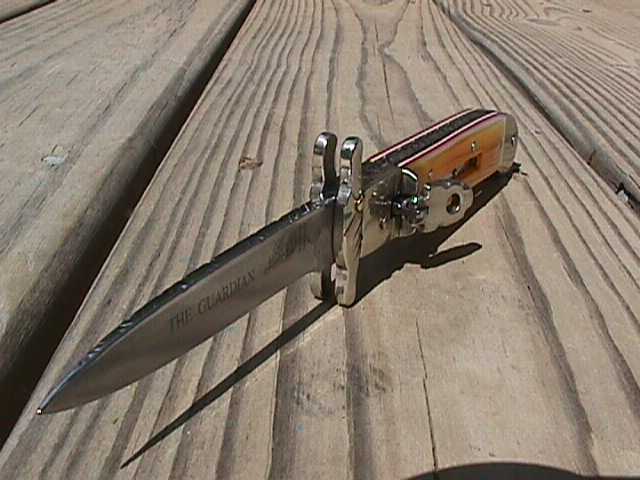 This is a Hubertus from Germany. 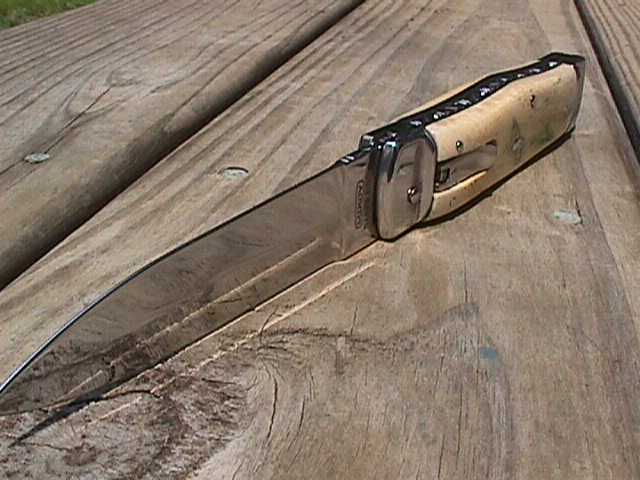 They are some of the finest knives made, excellent QC. 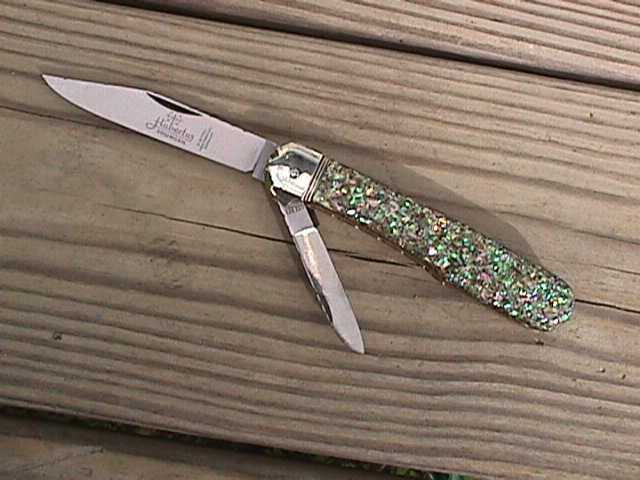 This one is scaled in Gold lip Mother of Pearl. Another Hubertus. 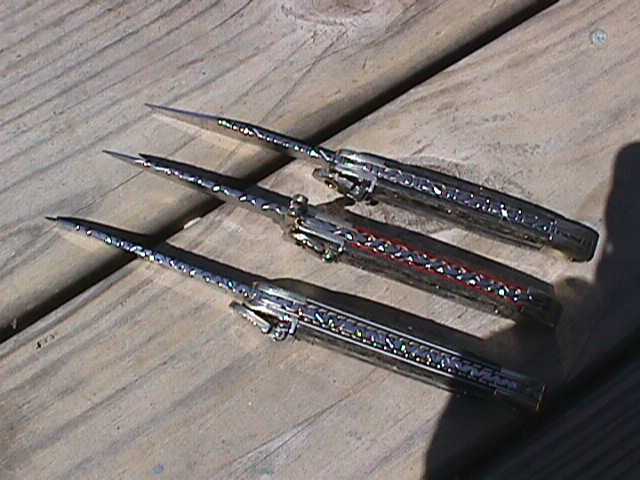 Sometimes called the "Magic knife" or "penplade release". 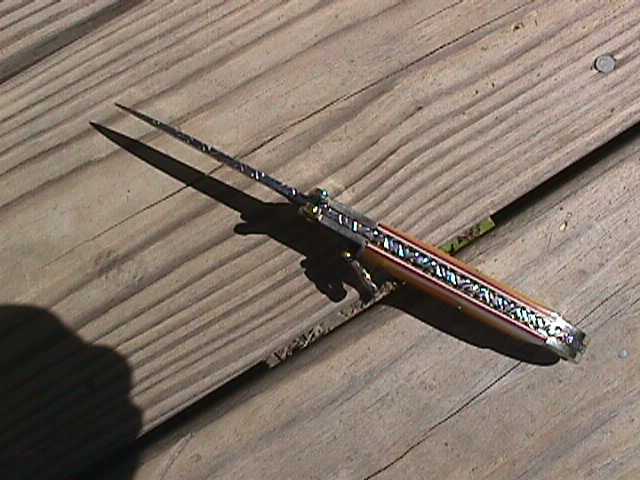 To release the main blade, depress the penblade. 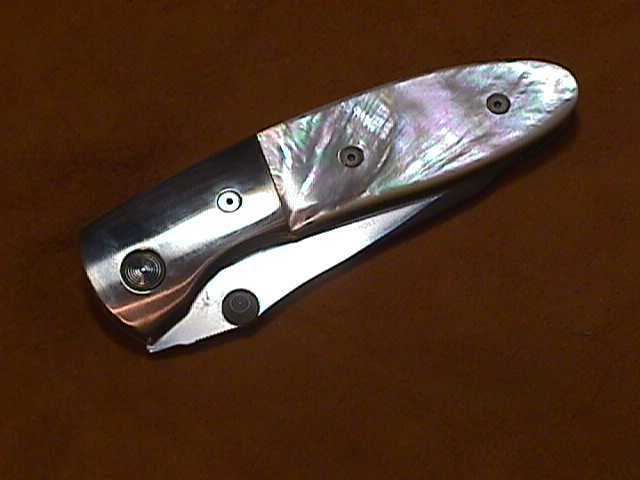 This one is scaled in crushed abalone (paua) and fileworked. 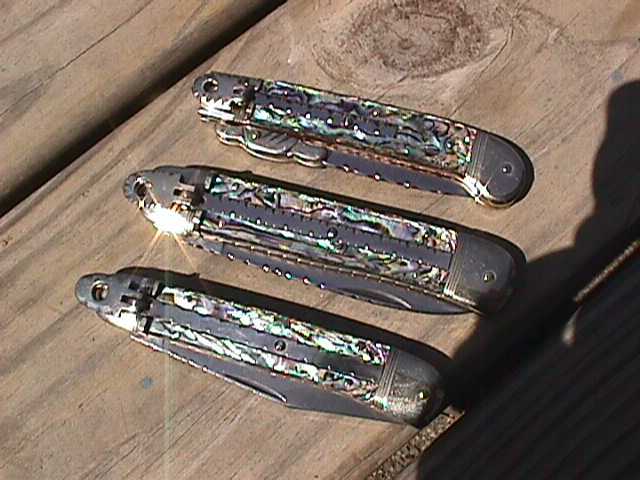 3 more Hubertus, all different models owned by one collector. 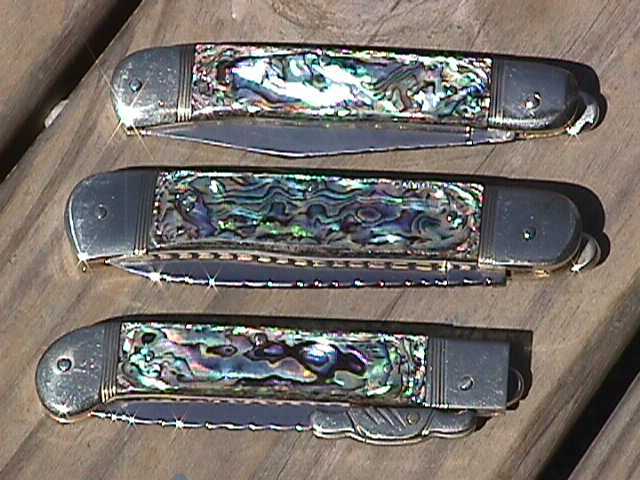 These are scaled in abalone (paua) and fileworked. 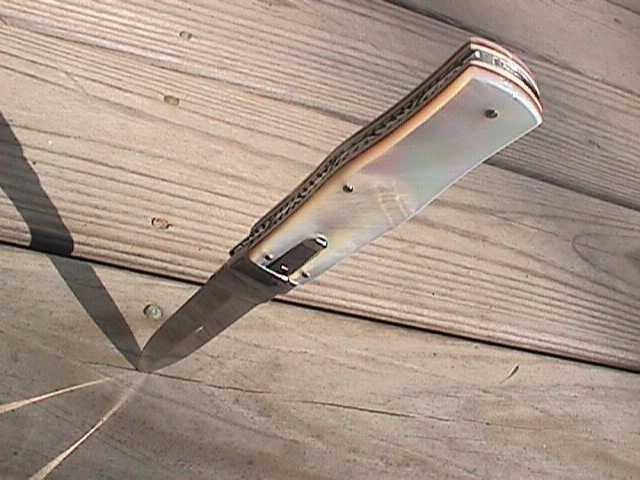 Another Hubertus. 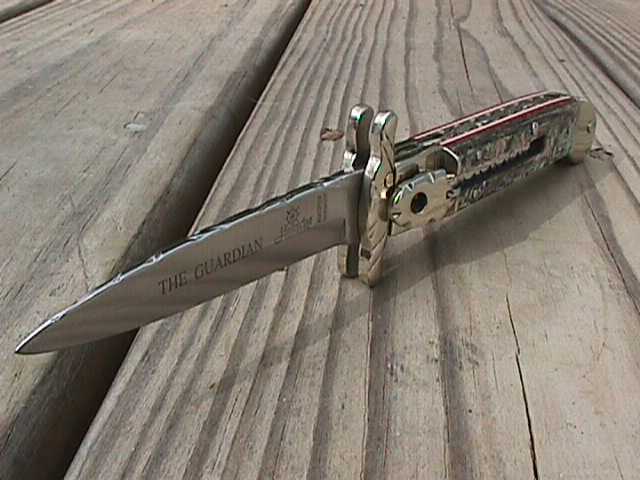 It's the "Guardian" model with folding swinguard. 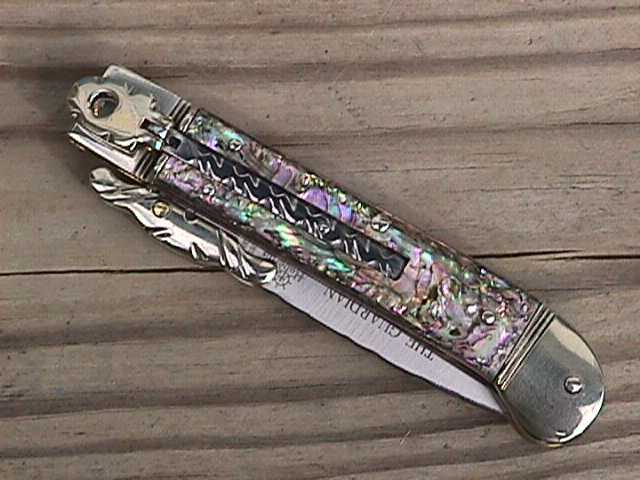 This one is scaled in Redheart Paua (abalone) and heavily fileworked. 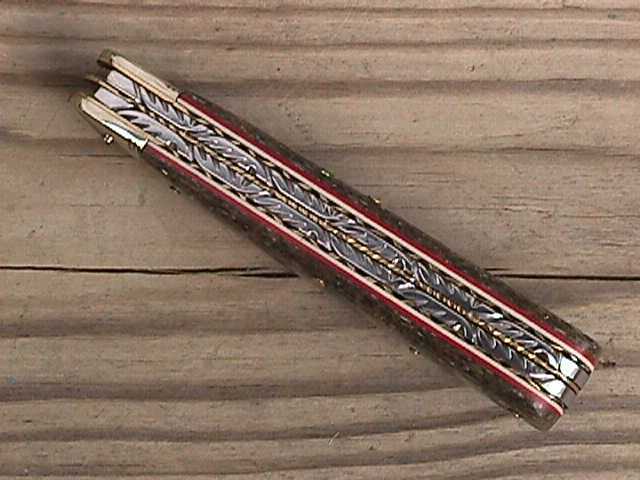 Redheart is one of the prettiest and expensive of the pauas.